Peyton Manning falls just short of Brady in almost all categories, scoring a 94 throwing power, 96 throwing accuracy, 96 throwing accuracy short, 92 throwing accuracy middle, and 86 throwing accuracy deep. Where Manning beats Brady is in awareness (99) and foot speed (60 speed). I’d pay to see that race. 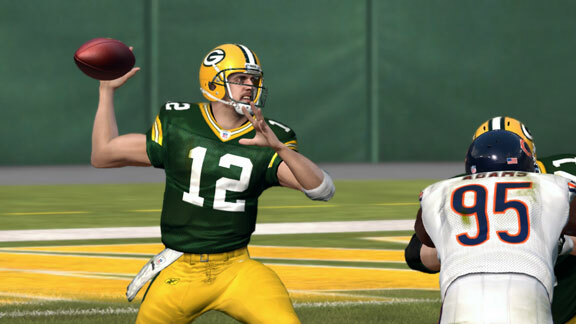 Aaron Rodgers features the arm and running ability "Madden" gamers love. The CM Punk of the NFL, Aaron Rodgers might have the championship belt (and more importantly the Super Bowl MVP), but he still seems underappreciated by the mainstream fans. 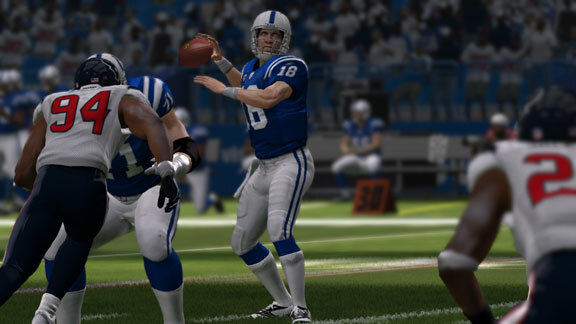 But to “Madden” fans, the love affair has been going on for a couple of years as Rodgers possesses the big arm and the mobility gamers are looking for. I’m talking about 79 speed and 84 acceleration to go with that 95 throwing power and 92 throwing accuracy. Only 88 awareness, though, for the champ? No respect. 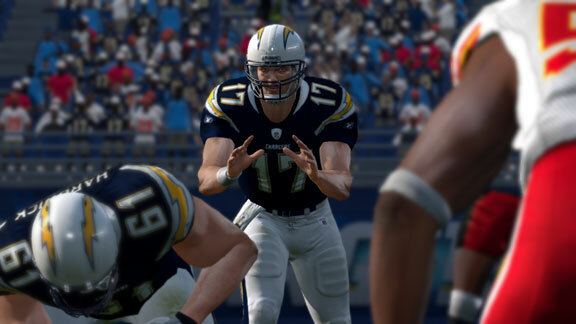 Philip Rivers and that 98 toughness can stare down any defense. While Rivers has more awareness than Rodgers (94 to 88), he doesn’t have the arm strength or mobility of the Packers QB. Rivers’ numbers include 63 speed, 90 throwing power, 96 throwing accuracy, and 98 toughness. What else would you expect from a trash-talking gun-slinger who you couldn’t get off the field after a big hit even if you had the “Madden” ambulance. 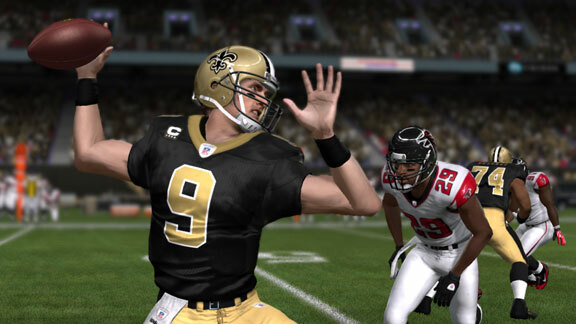 Former "Madden" cover boy Drew Brees is still going strong. 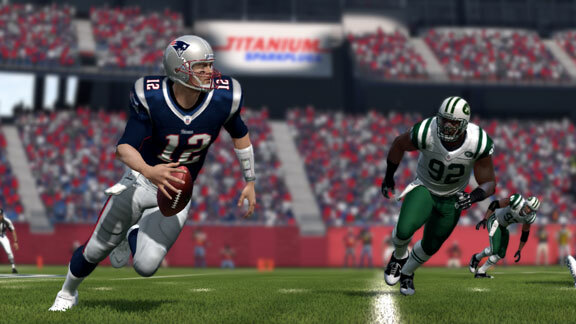 Playing as the former “Madden” cover athlete is like throwing cyber darts. He’s one of the most accurate passers in the game, highlighted by 99 throwing accuracy short, 92 throwing accuracy middle, and 85 throwing accuracy deep. Add to that a score of 88 for play-action and 77 for throwing on the run, and Brees’ “Madden” character continues to be anything but cursed.